Paper seems such an ordinary product today, but it has been fundemental to modern civilisation. 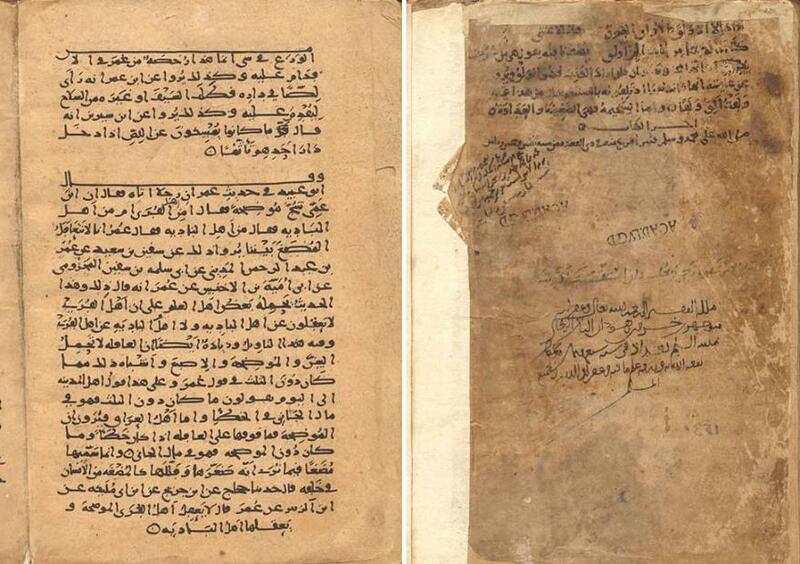 1,100 years ago people were manufacturing paper in Baghdad in Muslim Civilisation. 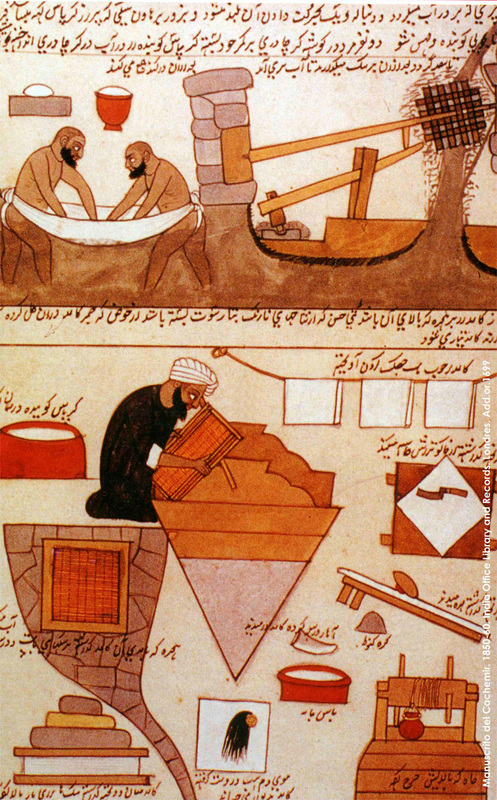 It is believed that the secrets of Chinese paper making were passed on to the people of Baghdad around the year 751. 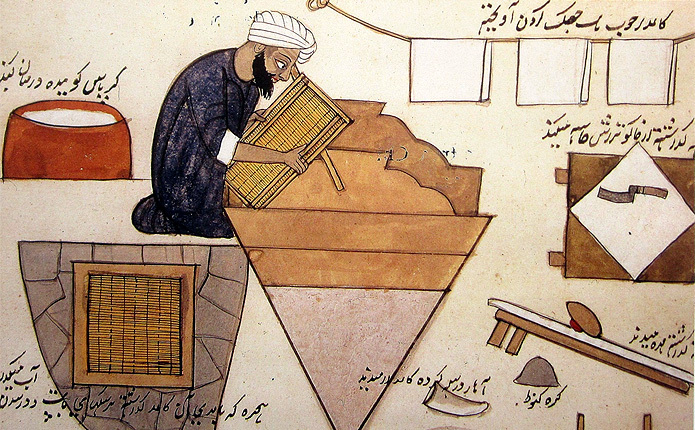 Very quickly, the art of paper-making was refined and transformed into mass production by the mills of Baghdad. Some of the techniques employed in Baghdad included the use of linen as a substitute for thr bark of the mulberry which the Chinese used. This involved a more refined and improved method of production. This development facilitated the build of many paper mills in Baghdad from where the industry spread to Damascus which became the major source of supply of paper to Europe; and various other places around the world. After the industry fllourished in Iraq, Syria and Palestine, it spread west. The first paper mill in Africa was built in Egypt around 850; then a paper mill was built in Morocco from where it reached Spain in 950. In 1293 the first paper mill in Bologna was set up. 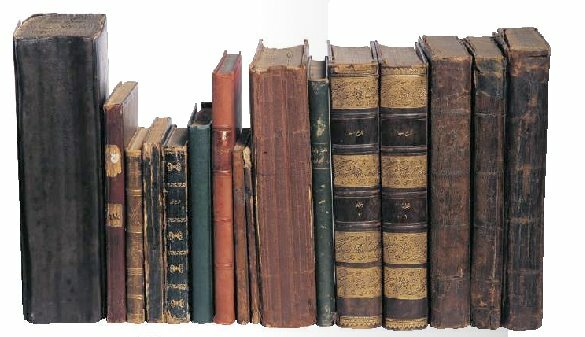 The first use of paper in England did not come until 1309, then Germany in the late stages of the 14th century. 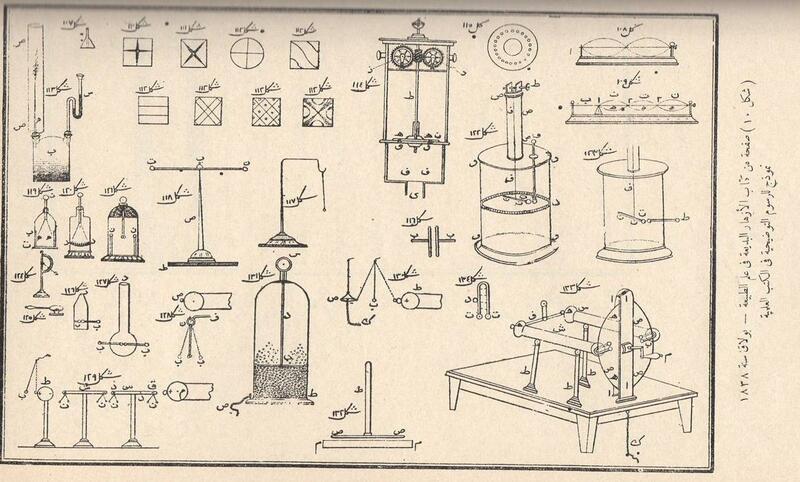 The tools and technique of making paper leaf depicted in a volume illustrating crafts and trades, Kashmir (Source) - British Library: "Making Islamic-style paper"